Confession: I watch a lot of science fiction. I debated over whether I watch enough of it to call myself, in this introduction, a "sci-fi geek," and then realized that, the fact that I'm writing a post titled "May the Fourth Be With You" probably answers the question. "May the Fourth" sounds like "May the Force be with you," which was a favorite line from the Star Wars films. 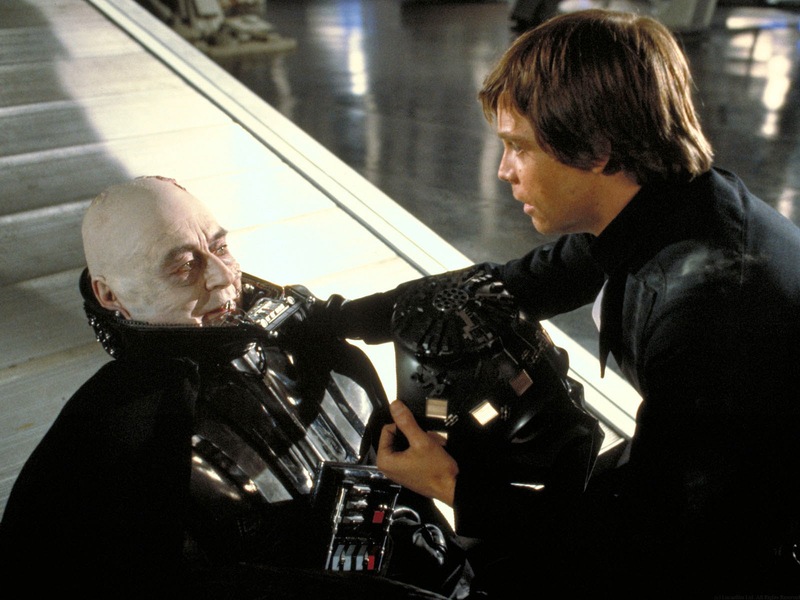 The Star Wars films collectively tell the story of Anakin Skywalker and the children he loses. He reunites with one of them. The series covers his birth, his marriage, the birth of his kids, his anger which drove his children into hiding, his children's upbringing, and eventually reconciliation. The most recent Episode jumps forward some time after Anakin's death. and one of his descendents still wrestles with questions of identity. I've reviewed all seven of the Star Wars films over the past few years (well - eight, if you count Rouge One. I haven't done the Ewok movies yet. Or the Christmas special.) and wanted to share those with you again. May the Force Be With You!